When the Nazis invaded Denmark on Tuesday, April 9, 1940, the people of this tiny country to the north of Germany awoke to a devastating surprise. The government of Denmark surrendered quietly, and the Danes were ordered to go about their daily lives as if nothing had changed. But everything had changed. With her talent for digging deep in her research and weaving real voices into her narratives, Hopkinson reveals the thrilling truth behind one of WWII's most daring resistance movements. Immersive, impactful and informative. This non-fiction account of World War 2 takes a somewhat more alternate angle than is usual—shedding light on those among the Danes, specifically, who resisted the Nazi invasion. Filled with black and white pictures of brave rebel Danes, newspaper pages, and historic moments in progress, Hopkinson stitches together a vivid sense for the oppression and pushback in a tiny nation that regarded all of its citizens with uncommon loyalty. The stories are sobering and significant in historical value, while the language choices leave it accessible to those as young as 12. 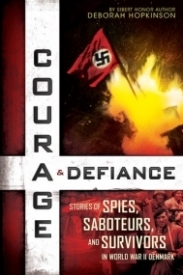 COURAGE & DEFIANCE is broken into five parts, beginning in April of 1940 with the overnight invasion of the tiny nation of Denmark. Sedition was initially scattered, disorganized, and small scale until the Summer of 1943. As news of Allied victories spread, it brought embodiment and hope to the Danish people. They began to openly revolt, and the Germans cracked down with martial law and the total neutralizing of the Danish military. It is here, at part 2 and the book’s halfway point, that the Nazis ordered the roundup of all 7,700 Jews living in Denmark. The pacing accelerates from here on out as the Danes worked together to warn their Jewish neighbors, then evacuate as many as they could. Part 3 covers the Fall of 1943-Summer of 1944, as a number of the resistance members that readers have come to know are captured and imprisoned. Some are executed. Part 4 tells of those who survived to be deported into Germany and face the cruel and deteriorating conditions of Nazi camps—illness, starvation, and ten hour work days. Part 5 recounts Liberation in the spring of 1945—though survival was far from assured for these political prisoners, even to the final moments. What’s most striking is how perfectly well these men and women understood the risks they were running in opposing the Nazis. There were no guarantees that Hitler could be stopped. Torture and death awaited any caught engaging in espionage or sabotage. And yet, there were many who could not just stand by and passively watch their society and principles were ravaged a piece at a time. They were willing to put their bodies and lives on the line—potentially being betrayed by their own Nazi-sympathizing countrymen—to defy submission to a genocidal war machine. One of the most harrowing accounts would have to be that of The Flight of the Hornet, which begins on page 47. It tells of Tommy Sneum’s daring escape from Denmark to Great Britain in an outdated little plane, which he had to secretly reassemble himself in a barn. The tension throughout this incident is palpable. On the flip side, readers may have a bit of trouble keeping track of all of the characters followed throughout. Pictures of said persons are offered, but not up front. And while the linear chronological ordering of events makes perfect historical sense, it leaves large alternating gaps between character accounts—and thus time for readers to forget who they are being told about. 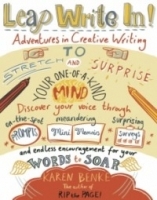 For this reader, it caused distancing and disconnect from their individual plights. This book has great bottom-line potential as a tool for bringing the tensions and conflict of WW2 to life in a whole new way; suitable for students as young as lower middle-grade, or for anyone who is simply interested in expanding their understanding on the subject.